We’re occasionally asked how we kept the game servers running smoothly. The answer is AlwaysUp, a product we have been using since 2011. 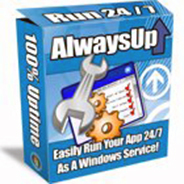 AlwaysUp runs any application (32/64-bit executable, batch file, shortcut, java, perl, etc.) as a Windows Service, monitoring it constantly to ensure 100% uptime. It will automatically start your application whenever your computer boots, automatically restart your application if it crashes, hangs, or uses too much memory, and do everything in its power to ensure that your application is available 24/7. No programming is required. Take advantage of their risk-free 30-day trial and find out for yourself! Also take advantage of AlwaysUp Web Service, which is a free add-on program for AlwaysUp that allows you to control your deployed applications from your web browser. 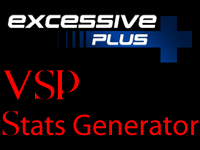 VSP Stats Game Log Processor (VSP) extracts statistical and other data from the log files of games and mods based on id’s Tech 3 engine by utilizing MySQL and PHP. It then takes the result and creates graphical tables that display a wealth of info such as individual weapon accuracy, kills per games, skill ranking based on ELO, etc. The original application (created by Myrddin) was broken by Excessive Plus 1.03 back in 2005 and therefore WASP.Beast created a fork to primarily support the Quake III and OpenArena Excessive Plus (E+) Mods. NOTE: If you want to display Stats from an id Tech 3 game or mod, other than the Excessive Plus Mod, we strongly suggest that you try Martin Haberfellner’s recent version from Github. We will provide any version of E+ VSP (supporting E+ 1.03 to 2.3) to any E+ Server Admin upon email request or Steam message. 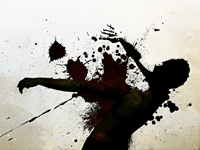 Excessive Plus (E+) is the fastest, most explosive 3D Action/Shooter (FPS) Mod in the world. The latest versions work with Quake III, IoQuake3, and OpenArena. E+ can be summed up as an “over-the-top” Quake III (Q3/IOQ3) and OpenArena (OA) Modification (Mod) that is often played with super-powerful weapons, no self-damage, regenerating health and ammo, multi-jumps and the awesome ability to move rapidly around a map via the power of your weapon. 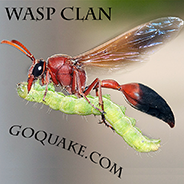 The WASP Clan is a casual group of North and South American and Caribbean gamers who play many Commercial and Open Source Games. The clan takes its name from the ferocious insects that fight well above their weight limit and has no bearing on the term “White Anglo-Saxon Protestant”. We are an offshoot of the WASP Clan that played Quake III (Excessive Plus Mod) competitively in the Americas and Europe. There are no skill or training requirements and anyone is welcome to join. The clan was founded as a Quake II gaming clan by an amazing Australian FPS player known as WASP.Term. He later transitioned the clan to Quake III, finally settling on the Excessive Plus Mod. The clan went on to become highly respected within the E+ Community. In April 2007, WASP.Killer took over as Clan Leader and led the WASP Americas and European teams for the next 2 years. 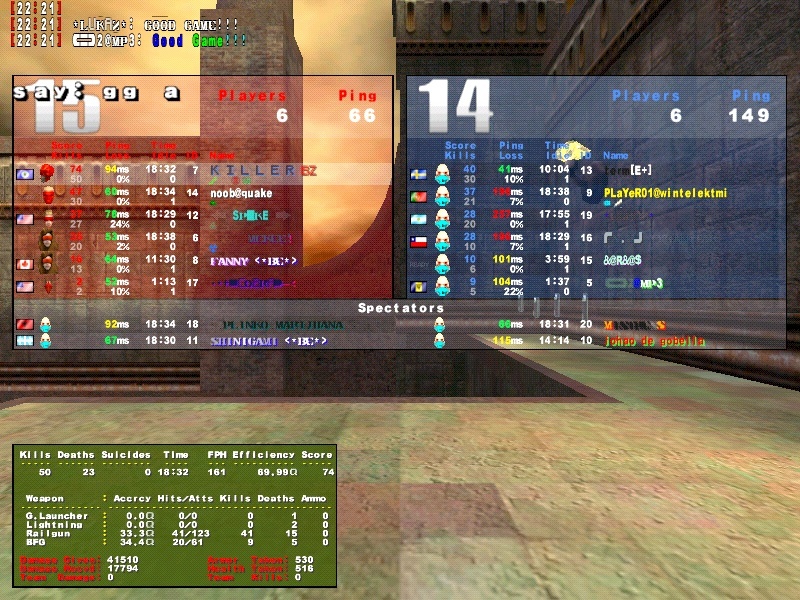 Here is the scoreboard of the game that led WASP.Term to offer him membership. In the Summer of 2009, he left competitive gaming to start a small, fun based Clan, independent of its Quake III namesake, that played E+ (on OpenArena not Quake III), Urban Terror, and various Steam games. The clan has played hundreds of Fun Wars, Clan Wars and Tournaments. Here is the results of one – CTF Round Robin Cup III Tournament. Can we treat MS by increasing thyroid hormone levels?